Platelet Rich Plasma therapy for hair loss is one of the most exciting procedures out there for treating hair loss. Using principles similar to the bloody facial made popular by Kim Kardashian, PRP for hair loss uses the platelets, contained in plasma, contained in blood to stimulate new hair growth. Platelets are those disk-shaped cell fragments that cause your blood to clot. How’s it do this? Platelets are filled with growth factors–these are signalers and messengers. Essentially, your body has all sorts of molecules that exist solely to say “stop” or “go.” These messengers have homeostatic mechanisms that, through their complex interactions, stop too much or too little growth. Platelets are filled with growth factor because they’re what causes your blood to clot. Thus, they have an abundance of messengers that would normally be deleterious in other parts of the body. PRP therapy, therefore, is the extraction of these platelets and making use of their signalling mechanisms to hack the growth process. Your hair goes through growth cycles. The growth phase is also called the “anagen” phase, and stimulating follicle growth is basically the process of shifting your hair into that phase. The growth factors in the platelets encourage this part of the growth cycle, extending it and increasing its efficiency. At first, patients will simply notice that they’re not shedding as much hair. With a month or two more, the hair will actually enter a regrowth phase. It’s worth mentioning that if there are underlying causes for hair loss, such as hormonal issues, these need to be addressed first before PRP can be effective. Once these factors are removed, however, PRP Therapy for hair loss can cause extremely fast and satisfying growth for patients. 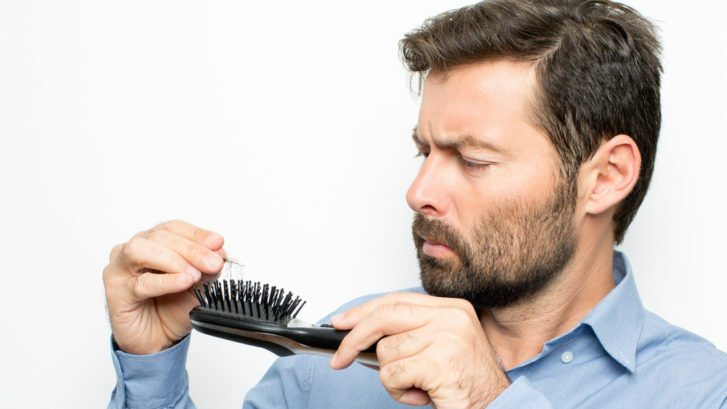 Want to know more about PRP for hair loss? Contact Mid-Atlantic Skin today to schedule your PRP consultation today.